OK, I'm so behind the times. I had never heard Tribute, byTenacious D, until Monday evening. I smiled all the way though it. It seemed to me a rockin' spoof of "The Devil Went Down to George". So now Noel links to some kids acting it out. Come to think of the Spartan hoopers could use some Tenacious D, too. Maybe I should send a CD to Coach Izzo. 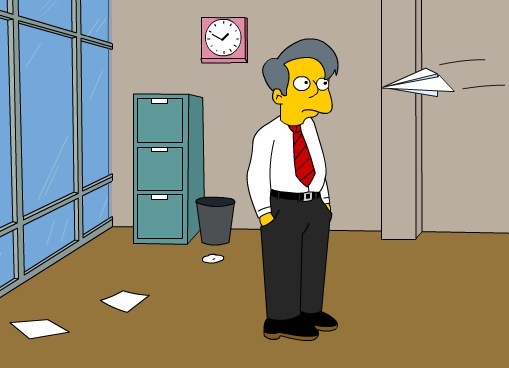 Simpsonmaker is a great site to turn yourself or your friends into a Simpson's character. Enough said. My favorite is the chair that is also the secret entrance to a spiral slide. ( Click on Animation #4) The little kids would be using this one all of the time. "Excuse me I have to go downstairs to get something again"
They claim it increases the value of your home. Of course, it will create buzz in the neighborhood, too. We'll definitely be tuning in for some Olympic action. My family has had an interest in the Winter Olympics as far back as I can remember. My Dad grew up in St. Moritz, Switzerland, where they hosted the Winter Olympics in the 50's and my dad and his buddies also did a lot of winter sports on their own. If your following the Olympics in the U.S. of A., NBC has well designed page for you to keep up on things. This first page gives you the TV schedule for all of their coverage. Another page is a table of days and Sports with Medal Days marked with what else, a medal. Click on the day your interested in and you get a run down of everything going on that day and what time it is occurring in Torino time. If you want to see the event schedule for a specific sport, click on it, and you can the entire schedule of events in that sport. Smart. Now if I had a Tivo to skip all of the commercials. Which reminds me, David Pogue has another good post on human friendly design that mentions the Tivo. Did you know the Tivo takes into account the delay between you seeing where you want to be in the show and pressing the play button. Nice. But I digress. Go USA. Go Switzerland, Schweiz, Suisse, Svizzera, Helvetica. The Swiss have four native languages. German, French, Italian, and Romantsch. Swiss-German, a dialect of German that most Germans cannot understand, and Romantsch were the primary languages of my parents when they came to the US. Both of these are dialects and are not written languages. This may be a partial explanation for why this immigrant's son doesn't have perfect spelling. That and the fact that for Mom and Dad English was a second language. But I digress, again. Now back to work all of you. The Guitar Shred Show will let you play around with some serious guitar riffs. A fun way to waste your time, and pretend you have guitar skills.